Did you know that this Saturday, November 15, is America Recycles Day? The Student Activities office at our school is doing an informative drop-by session in the lobby of our library today, with a photo booth, giveaways, and free pizza to talk about recycling and the Virginia Beach landfill program. 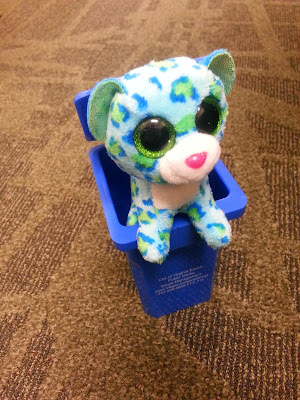 Ipo hopped into a miniature recycling bin to get into the spirit!